Our technical felts and felt products are used in many different sectors and branches of industry. In fact, we supply so many industries that we are not able to list each one individually! The diversity in terms of various applications is just as broad. 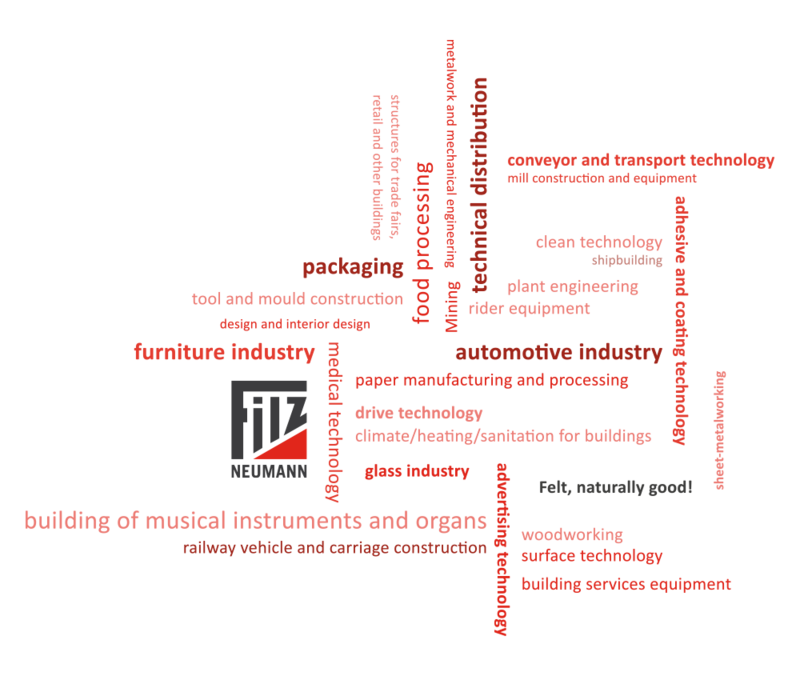 We would like to present a number of selected industries in more detail here. However, we never tire of emphasising that every industry and each customer is equally important to us! Every application has its own particular characteristics, and felt is suitable for a wide range of uses thanks to its numerous favourable properties. Technical felts are still a match for modern plastics, foams, flock materials or rubber. Indeed, felts have better product properties for many areas of application. As a reliable partner, we are happy to assist you with our dedicated staff, our comprehensive materials expertise and our decades of experience in problem-solving! Working in close cooperation with you, our specialist contact persons will implement your ideas and wishes. With our modern production facilities, we are able to produce large, small or very small piece numbers in an efficient manner.